It’s set a few years after the first one with all the main characters ageing in line with real time; one of the main themes is putting aside childish things and taking on the weighty problems of adulthood. Out with “Action-Viking” figures; in with trying to shave with a hand-axe. All the main characters are now teenagers but it thankfully never turns into Beverly Hills 900 AD. They bicker and fight but generally try and do the right thing and always great fun. In the end Hiccup’s main source of conflict is feeling that he can’t live up to his father’s legacy as Chief rather than wanting to run away and join an Accountancy firm. All the characters have a bit of rounding out and even the villain has a plausible back-story for what he does (he’s not sympathetic as such but you can at least understand where he’s coming from). No one’s there for the humans though and there’s loads more cool interaction between Hiccup and Toothless. The Night Fury has got even more character in this one and I could just watch him mucking about in the background for an entire film. 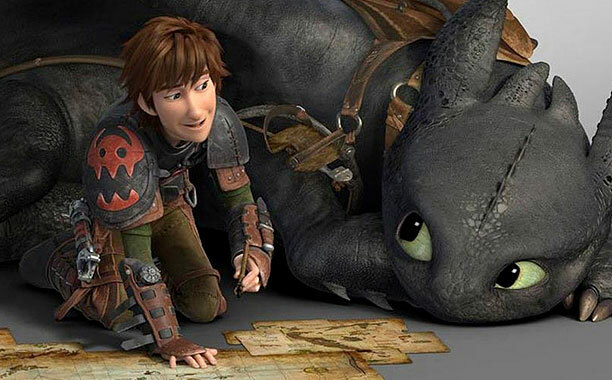 It’s brilliantly pitched; there are loads of scenes showing his cool animal characteristics (he behaves like a cross between a cat, a dog, a horse and a dolphin) but most of the emotional side of the film revolves around Hiccup’s and Toothless’s relationship. It’s always portrayed as a friendship of equals (which again is quite key to the plot). The film gets quite dark in places. But even with all the bad stuff that happens Hiccup is still optimistic, determined and idealistic. 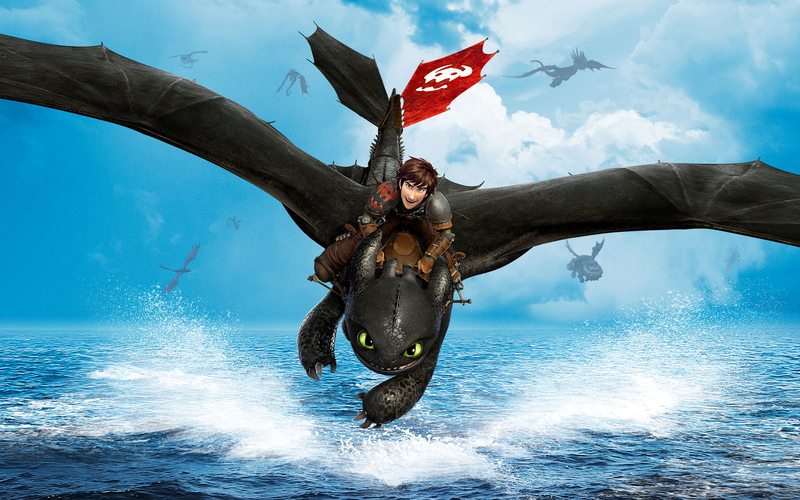 It also never takes away from the sense of wonder and exuberance when he’s finally flying with Toothless. It’s amazing and worth the price of admission alone.